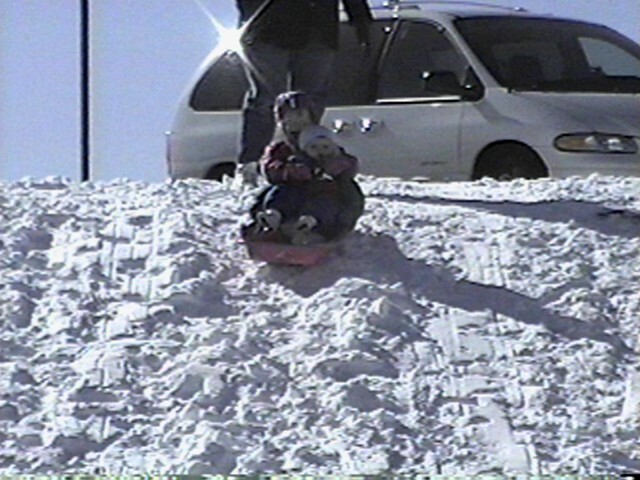 Christopher's first sled ride with his sister. This one didn't end too good. They rolled over half way down.